Let us help you preserve them. Getting hitched, tying the knot, jumping the broom, walking down the aisle or however you say "I do," this day will be special, the most memorable and important day of your life. It's where you begin a family of your own. There will be months of planning the perfect celebration, finding the stunning dress, choosing the right cake, purchasing and making decorations, and the list goes on and on. And then the moment will be here before you know it. The day will be a whirlwind of hair, makeup, pictures, family, friends, your crazy uncle Mike, and of course your newly betrothed. When the dust settles, though, after all the planning for the perfect day, the only thing you'll pull out for years to come will be your wedding album. The dress will be preserved, the cake will have been eaten, the decorations put away or sold. But the pictures? Those will be leafed through for generations to come. We know the importance of forever preserving this special day for you and your children, and we want to help you make your new beginning a day that you will never forget. We know. We've been there. We folded thousands of tiny paper flowers (not kidding - ha! ), and we made pearl picks for each of the bouquets. In addition to providing you with the perfect images from your day and an album you can cherish for years to come, we want to help you feel confident about the schedule for the day and help with any other details we can, from designing invitations, programs, or save-the-dates, to recommending some of our favorite vendors we've worked with. 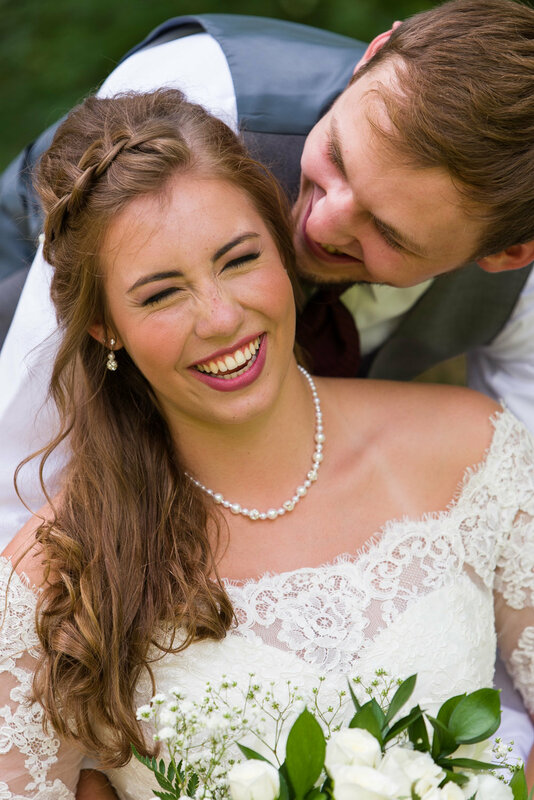 We'll take care of visiting with you to put together a wedding photography timeline so you don't have to worry about anything the day you say "I do," just celebrating your first steps toward forever. Check out any of our featured weddings by clicking on the pictures below. A wedding isn't planned in one day, and your photography deserves more than a day as well. We believe in the value of working with you in person leading up to, throughout, and after your wedding. By the time you're done with us, we're going to be friends. And everyone likes having more friends. Our first chance to meet you in person will be at your home or for coffee, wherever you're more comfortable, to show you the options you'll have for preserving your memories. The next time we see you will be at your engagement session, where you will get comfortable in front of the camera and confident with posing so you'll feel like a pro on your wedding day. A couple of weeks before your wedding we'll touch base to help you out with any other final details you may have before the big day. In most cases, we deliver your images in person four to six weeks later because 1) we're friends and 2) we love to see the joy people have when they hold their album for the first time. Contact us at bcemeryphotography@gmail.com or 620-388-2620 to set up a complimentary consult or click on the button below to answer a few questions and receive more information.